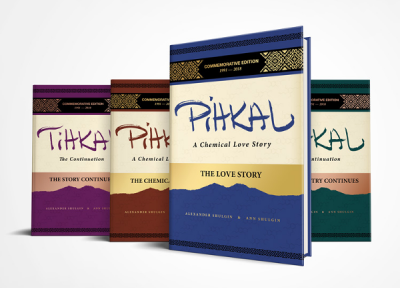 PiHKAL · info is a visual index and map of “ PiHKAL: A Chemical Love Story ,” by Alexander & Ann Shulgin. 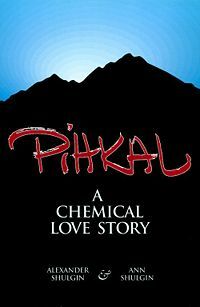 PiHKAL is the extraordinary record of the authors’ years exploring the chemistry and transformative power of psychedelic medicines, and phenethylamines in particular. PiHKAL (the book) covers a lot of ground. There are detailed reports on 179 substances and mention of perhaps 150 more. Still other phenethylamines not discussed in the book are known or are suspected to have psychedelic potential. PiHKAL · info is my attempt to map out the terrain. phen-ethyl-amine \fen-'eth-al-a-,mēn\ n. [phenyl fr. F. phène, fr. Gk. phainein, to show (from its occurrence in illuminating gas) + ethyl (ether + yl + amine fr. NL ammonia] 1: A naturally occurring compound found in both the animal and plant kingdoms. It is an endogenous component of the human brain. 2: Any of a series of compounds containing the phenethylamine skeleton, and modified by chemical constituents at appropriate positions in the molecule.